I started this blog not long after I moved to Northern California from Southern California. More specifically, I moved from Los Angeles to Folsom. I learned to kayak when I was down in L.A. It's actually a great place to learn how to paddle. I started in the ocean, enjoying the relatively calm and warm waters. I learned to love sea caves out on the Channel Islands - I also learned to love long distance paddling to get out to them. I also got into surf kayaking going regularly to Topanga Canyon. I started kayak polo through my affiliation with UCLA and that also lead to whitewater kayaking on the Kern River. Lots of great places to paddle. When I moved to Folsom it was for a job running a kayak program for California Canoe & Kayak. The store is in a Sacramento suburb and I taught flat water paddling on Lake Natoma just minutes from my house. Our whitewater program is on the South Fork American River about 20 miles away in Coloma - the center of the whitewater world in California. I was also plugged into the ocean, teaching ACA courses down in Half Moon Bay and often paddling out the Golden Gate or playing in San Francisco Bay. Once again, lots of great places to paddle. But still a little ways away. I have just recently moved to Fort Bragg. For those who don't know California geography, it's on the coast a few hours north of San Francisco. It's the Mendocino coast. It's sea kayaking heaven. It has the most beautiful coastline with everything you could want. Sea caves, rock gardens, pourovers, protected bays, world class surf, tidal river mouths - it's all here. Right here. Within fifteen minutes here. I've paddled in the area before and it was always one of my favorite spots to visit. Now that I live here I am looking forward to exploring it on a level that you can only get by spending serious time. I have years of poking my boat into every nook and cranny, finding the best waves and soaking up the beauty of the redwoods. My good friends Jeff and Cate are now my neighbors and I expect that I'll have plenty of folks looking to stop by for a visit (and paddle). The irony is that in the short term I have lots of pre-made plans on the weekends that are taking me away from my new home in the short term. But now I can go out any day - over lunch, after work, dawn patrol. And I'll keep filming and taking pictures and sharing it on this blog. After all, it's still California and I'm still paddling. 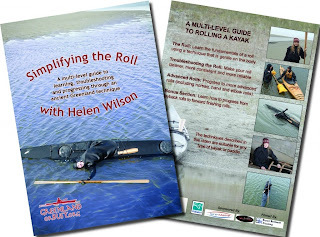 I met Helen Wilson several years ago when we were both teaching at the Golden Gate Sea Kayak Symposium. She had been teaching Greenland Rolling classes but had to take off early the last day and couldn't teach a full class. So she sat in on a class I was teaching and was super fun and very helpful. Shortly after that she contacted me about filming a rolling DVD - she had seen my Paddle California DVD and thought that our similar backgrounds might make for a good working collaboration. The result was Simplifying the Roll, a video we shot and edited very quickly with a small budget that turned out great (judging by the sales and happy customers we've racked up). Helen and I have been friends ever since and Helen often talked about shooting a yoga for paddlers DVD as a follow up. 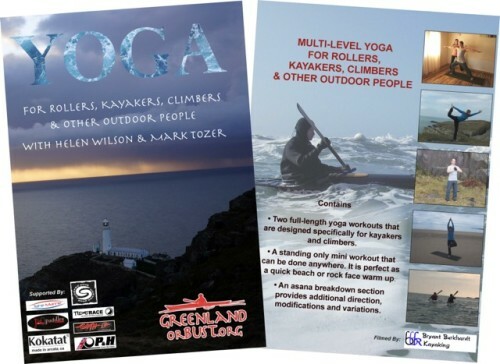 In addition to being a Greenland rolling champion and professional kayak coach, she's also a certified yoga instructor. It was a good idea but the timing never worked out for our schedules. And while I had tried yoga at the time and thought it a good thing, I really didn't know much about the practice. This past year, again at GGSKS, we were chatting about how I was now practicing yoga regularly and was no longer working full time so my schedule was flexible. Helen again brought up the yoga DVD idea, this time with her husband Mark Tozer on board. 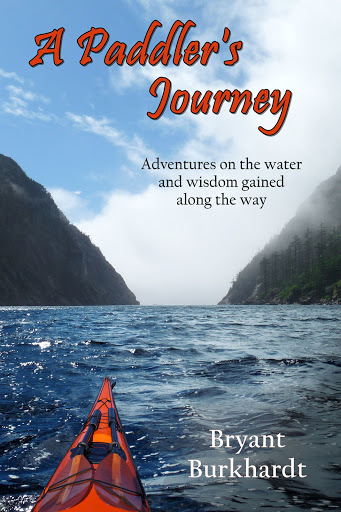 Mark is another professional kayak instructor but also teaches rock climbing and practices yoga. We all had some time open in the spring and the plan to film Yoga for Outdoor People was launched. One hiccup that turned into a blessing was that Mark was in Wales - he's a Brit and all his family is over there. Helen loved the idea of filming the video with the beautiful backdrop that is northern Wales, so an overseas filming trip was planned. We had a great time filming all over the countryside and in spite of some chilly and rainy weather we managed to squeeze in some sunny yoga shoots between paddling and climbing days. Since then we've been busy editing and tweaking the videos to produce something that will be really helpful to people. 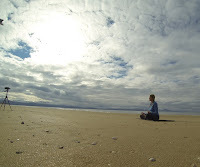 The DVD has three different yoga sequences, two full length and one short standing sequence. The full length sequences are great for a regular home practice, giving you some variety and concentrating on moves that will help out with paddling, climbing, hiking - generally moving about. The standing sequence is great in that once you have it down you can use it as a warm up wherever you find yourself getting ready to go - you don't need a mat or anything. Each of the sequences includes a voice-over by Helen that talks you through the poses as they appear on screen. This helps you get into the proper position and makes it easier to focus on exactly what you need to be doing. Yoga is as mental as it is physical and if you've ever taken a class you know that the instructors words and guidance not only help you achieve the proper pose but also creates a rhythm and flow to the practice that can approach a meditative state. Helen's words are very relaxing and she gives the right balance of instruction and silence to make the routines easy to follow while getting in a good workout. There's also an Asana Breakdown section on the DVD. Helen and Mark break down the more complicated poses and show some variations that you can do. From my own practice I've learned how important it is to get the small details right and that can be hard to do when you're just watching someone and trying to copy them. This breakdown gives you pointers on technique so you can learn the poses properly and makes the DVD suitable for a complete novice who's never practiced yoga before. At the same time, the advanced variations allow the sequences to still be challenging and rewarding for those who already practice regularly. I'm so excited that the project is finally done and the DVD's are almost ready to ship out. Helen has started taking pre-orders for shipments starting on September 18th, 2013. 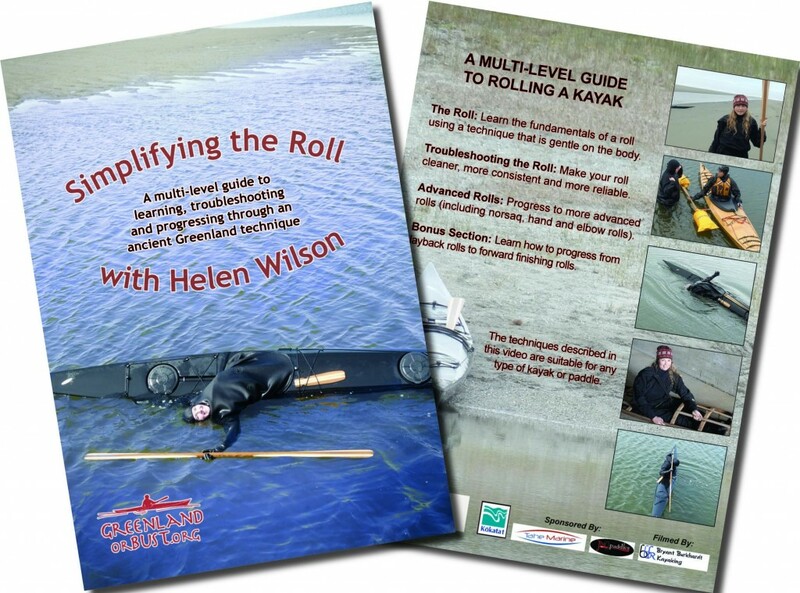 Here's the link to Helen's site: GreenlandorBust.org. And here's a little trailer I put together that gives you an idea of what it all looks like.